A San Diego native, Denise has been a real estate professional for 11 years. She has been specifically trained to service Military families on the move! She has an advanced accreditation as a CARTUS Network Affinity Specialist (CNAS). It is Denise’s honor to serve those members of the military who protect us. 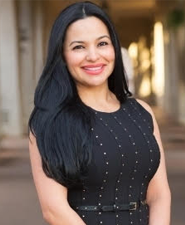 Her goal as your real estate agent is to guide and give you all the information in order to help you make the best decision for you and/or your family.